At Vane Road Primary School we believe that inclusive education means providing all pupils with appropriate education and support alongside their peers. The Curriculum is all the planned activities that the school organises in order to promote learning, personal growth and development. Most children and young people will have their special educational needs met in mainstream schools through good classroom practice. This is called Quality First Teaching. 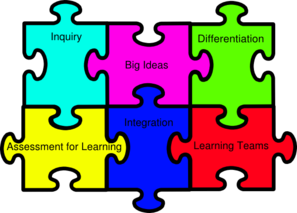 Click on the jigsaw link to Vane Road’s Quality First Teaching document in order to see how teaching staff differentiate within the classroom to meet individual learning styles and needs. Through discussions, observations, assessments and data analysis the SENDCo, class teachers, key workers and support staff will identify any children who appear to have Special Educational Needs/Disabilities (SEND). Children with SEN may also be identified by outside agencies and organisations. Parents and Carers may also inform the SENDCo (Miss Wren) or teaching staff of any concerns and possible Special Educational Needs. When a child is identified as having a SEND we will invite parents into school for a Short Note Meeting where the class teacher will share their observations and together will discuss targets and next steps. In agreement with parents, child and class teacher we will then decide whether to place the child onto the SEND register and a Support Plan will be created. This will be reviewed every Term and parents are invited to a Support Plan Meeting where they will meet with the class teacher and relevant support staff to discuss progress and set new targets. Residential opportunities in the outdoors for KS2 children. All children are regularly assessed and progress is very closely monitored this is the same for those with a special educational need or a disability. One way in which we track the children’s progress is through termly Pupil Progress Meetings between the class teacher and Senior Team Leader. During these meetings children who have not made expected progress will be identified and will be targeted through a class Action Plan as a cause for concern. The Cause for Concern and SEND registers are updated after each cycle of pupil progress meetings. A child who has been identified as a cause for concern and targeted for at least 1 term and has not made the expected progress may be referred for more intensive support. This will only be done in consultation with SENDCo, class teacher and parents / carers. The children who have an individual Support Plan or who have an Education, Health and Care Plan will also have their progress tracked over time. These plans will be updated termly and parents are invited into school to discuss, update and agree targets, where appropriate children would be invited to join these meetings or supply information. This may take on the form of a video presentation or annotations of what they believe are their strengths and what works well in class as well as suggestions as to further areas for development. Parents are encouraged to speak to staff if they have a concern about their child or are experiencing family problems. A ‘Team Around the Family’ can provide support for children and families. Access to additional support of this kind is requested by Kieran Pavey and requires referral information and agreed outcomes to any support offered. School staff are able to support families to access support from other professionals via First Contact and the One Point Service. An Annual Review meeting is held each year for those children with an Education, Health Care Plan (EHCP). These meetings are chaired by the SENDCo and the class teacher must also attend. The class teacher will produce a report for this meeting which will outline the child’s progress towards the targets on their EHCP, key achievements and current challenges. The SENDCo will also gather reports from all other agencies actively working with the child. Individual Support Plan meetings and Pupil Progress Meetings. SENDCo to monitor Action Plans and Support Plans and feedback to be given when needed. Differentiated planning, intervention planning, work book to be monitored as part of the monitoring cycle. Senior Leadership Team, governors and the local authority are to ensure the SENDCo is held accountable for the SEND provision in school. Interventions and support are to be monitored through the SEND register. Through a review of a child’s SEN Support Plan or the Annual Review of their Educational Health Care Plan. Full parental involvement with all meetings and discussions from Outside Agencies. Parents will always be invited to any meetings involving their children and will always be at the centre of any decisions made.